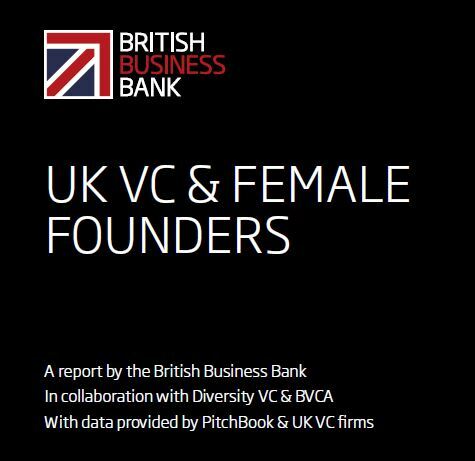 Our UK VC & Female Founders report, commissioned by Chancellor Philip Hammond at Budget 2017 and undertaken by the British Business Bank in partnership with Diversity VC and the BVCA, identifies specific barriers faced by female-led firms in accessing venture capital. 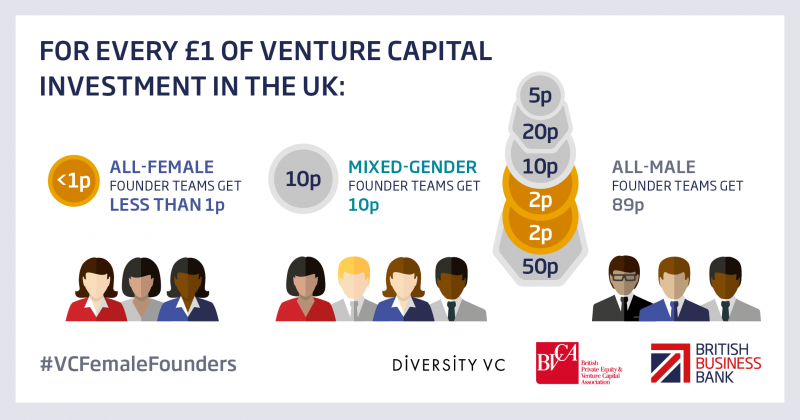 for every £1 of venture capital (VC) investment in the UK, all-female founder teams get less than 1p, all-male founder teams get 89p, and mixed-gender teams 10p. venture capital investment in start-ups with female founders is increasing but progress is very slow. At current rates, for all-female teams to reach even 10% of all deals will take more than 25 years (until 2045). 83% of deals that UK VCs made last year had no women at all on the founding teams.